George Bernard Shaw once said “The trouble with her is that she lacks the power of conversation but not the power of speech” when referring to someone who was dominating a conversation. By definition, a conversation is a dialogue, not a monologue, yet we all know someone who doesn’t put this into practice. 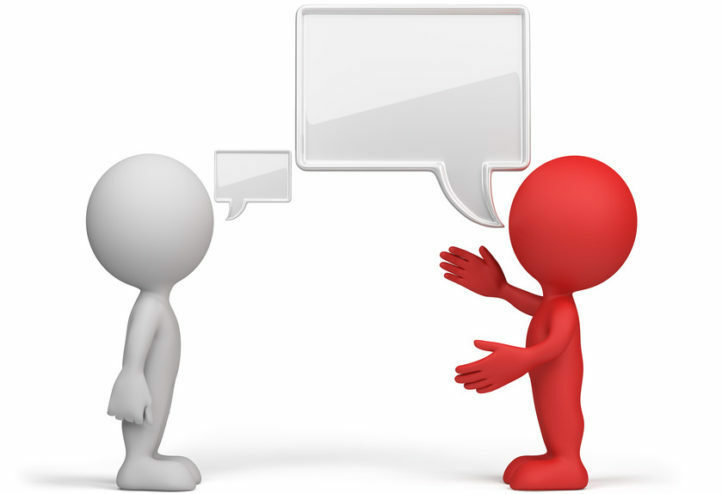 Are you a great conversationalist? So many of us would like to think we are, though as with any skill, it takes knowledge, awareness, and practice. But what does it really mean to be a great conversationalist? Certainly the main premise is that of a give and take of words, but what makes a conversation interesting, meaningful, and enjoyable? As with many things, there is both art and science involved. 1) Utilize the pause. When someone stops talking, do you immediately jump in and start speaking? One key to being a great conversationalist is to pause after a person stops talking. When you pause for a few seconds, you avoid running the risk of interrupting when another person is, perhaps, stopping to simply take a breath. Plus, you’re showing the other person that you’re giving careful consideration to his or her words by not jumping into the conversation as soon as s/he stops talking. In addition, you’ll actually better comprehend what the other person is saying if you aren’t thinking about what you’re going to say at your next opportunity. The pause is such an undervalued component of a good conversation. 2) Pay attention to non-verbal cues. Only 7% of any message is conveyed through words, leaving 93% for elements such as tone, gestures, and facial expressions, so more important is how we say things than what we actually say. The key here is to listen with not only your ears, but your eyes as well, and watch for subtle clues as you’re speaking to others. 3) Question for clarification. Never assume you understand what the other person is trying to say. Use phrases such as “What do you mean?” and “Tell me more” to guide the conversation. The other person will naturally expound on what they were saying. You can follow up with additional open ended questions and keep the conversation moving along smoothly. 4) Ask others’ opinions. Express interest in hearing what others’ think or how they feel about something. The best way to accomplish this is by asking a thoughtful question and then follow-up questions. When you dig a bit deeper and show genuine interest, you build trust and rapport with your audience. 5) Repeat by paraphrasing. By interjecting phrases such as “Let me see if I’ve got this right” or “What you’re saying is….”, and repeating back what you believe you heard in your own words, you demonstrate that you’re paying close attention and really understanding their thoughts and feelings. People will feel important, heard, and will trust you—effective listening builds trust. Also, this technique builds self-worth because the person speaking will feel more valued and respected. It takes real effort to focus on someone’s words. The more you work at really paying attention and listening well, the more self-disciplined you will become. 6) Be aware of how much you’re talking. People will likely try to be polite and not interrupt if what you’re saying starts to feel like a monologue, but their body language will speak volumes even if their lips don’t. Once again, listen with both your ears and your eyes. 7) Demonstrate that you’re interested. People need to know that you’re interested in what they have to say and that you understand them. Affirming that you’re focused on them with the occasional “uh-huh” and head nod are critical bits of positive feedback in helping your conversation partner feel heard. Some call it the gift of gab. Experts call it conversational intelligence. For some, conversation comes naturally; for others, it takes knowledge and practice. I hope you take advantage of these conversation tips and enjoy many chats in the future. What communication skills and techniques work best for you to keep a conversation interesting and engaging? I would love to hear them, so please write to me at deb@newchaptersolutions.com.